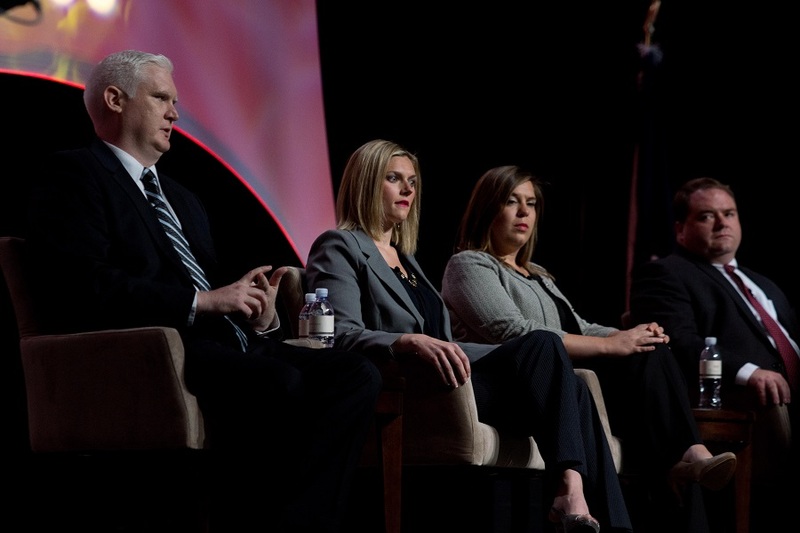 LAS VEGAS - Legislative panel discussion criticizes NCUA Chairman Debbie Matz's account of a congressional letter on the topic. Pictured from left to right are Director of Regulatory Affairs Mike Coleman, Director of Legislative Affairs Jillian Pevo, Vice President of Political Affairs Katie Marisic and Vice President of Legislative Affairs Brad Thaler. LAS VEGAS – NAFCU Director of Regulatory Affairs Michael Coleman predicted on Wednesday that the NCUA would extend the implementation period for the risk-based capital rule to at least three years.